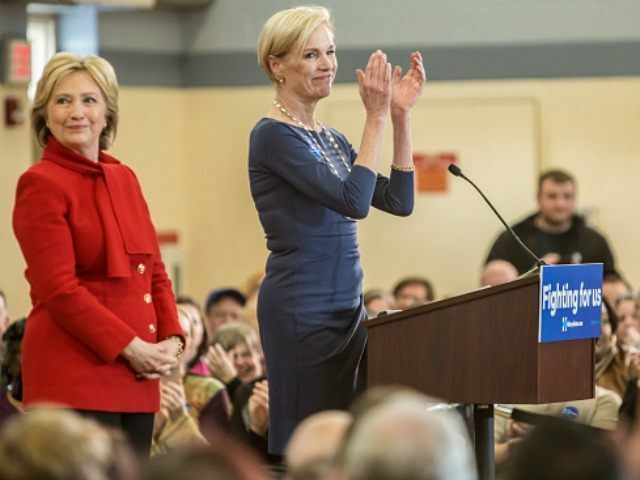 Planned Parenthood’s president, Cecile Richards, told Hillary Clinton supporters in Nevada that–because of Obamacare–55 million women in the United States are getting free birth control. Planned Parenthood offers free birth control and gets reimbursed through federal taxpayer funds. The abortion giant has also been given Obamacare “navigator grants”–federal funding just for helping people sign up for Obamacare. In an interview with Breitbart News last August, Rep. Diane Black, a member of the special House panel investigating Planned Parenthood’s involvement in aborted fetal tissue sales, explained that the abortion business gets federal funding from several sources. “Planned Parenthood also receives Medicaid money, which is probably their greatest source of income they get from the federal government,” Black added. Since Obamacare is essentially an expansion of Medicaid, Planned Parenthood is invested in making sure President Obama’s signature healthcare program remains intact. The federal government gives taxpayer money to individual states to fund their Medicaid programs, along with a basic set of requirements of what must be covered. States, however, have flexibility in how they spend their Medicaid funding. About ten states have eliminated Planned Parenthood’s federal and taxpayer funding, despite the Obama administration’s threats against these states. Planned Parenthood’s latest annual report shows that while its services provided have declined, its overall revenue has grown. What did not drop; in fact, what grew fairly well was government grants to the abortion giant. Planned Parenthood received a whopping $528.4 million from the taxpayers in the previous year but got a 4.8% bump to $553.7 million in the fiscal year just concluded, even though a number of states moved to halt Planed Parenthood funding because of the baby-parts scandal that riveted the nation over the summer. Planned Parenthood’s support of Clinton marks the first time the abortion business has endorsed a primary candidate.